The 2012 Mayan prophecy of the end of the world is over - but that does not mean we have got it over with. There is something about to happen for which may not get more than 30 minutes warning. 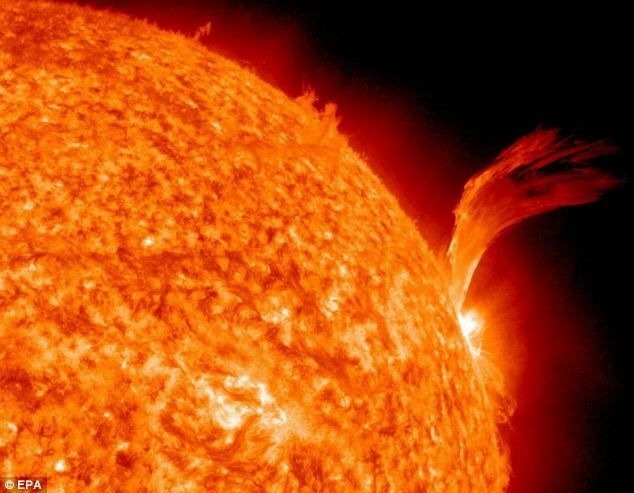 Scientists have warned of the Solar Superstorm that occur every 200 years - the last happened in 1859. On that occasion, Earth was hit by a tidal wave of energetic particles following a large solar flare. Induced currents caused by the blast sent sparks flying from telegraph pylons and caused fires. Scientists are preparing for the event which could paralyze communications networks including GPS and mobile phones. Experts warn that the solar superstorm on the scale of the Carrington event is 'inevitable' and Britain should be prepared.